Xinjiang is the biggest province in China where the Takla Makan Desert locates, it is a huge province with different minorities because it is so close to Kazakhstan and Mongolia, the cycling there is not fancy at all as we have to camp if no supporting van helps us, the daily cycling distance is long with climbs. 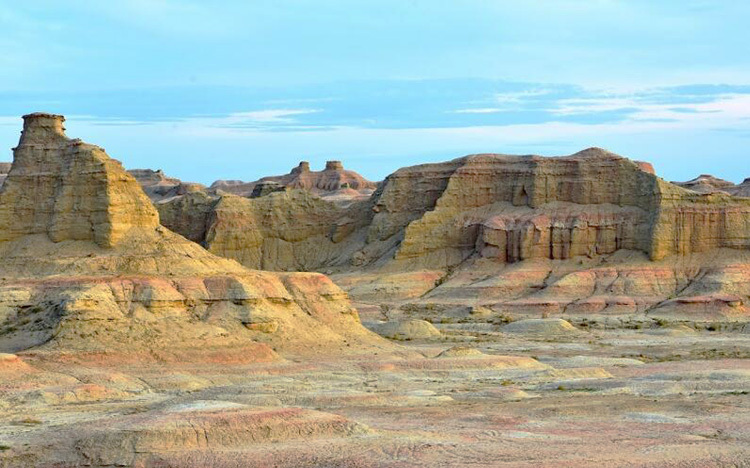 Xinjiang is huge while lots of highlights are located 400-500KM further to the central part, they are near the boundary. 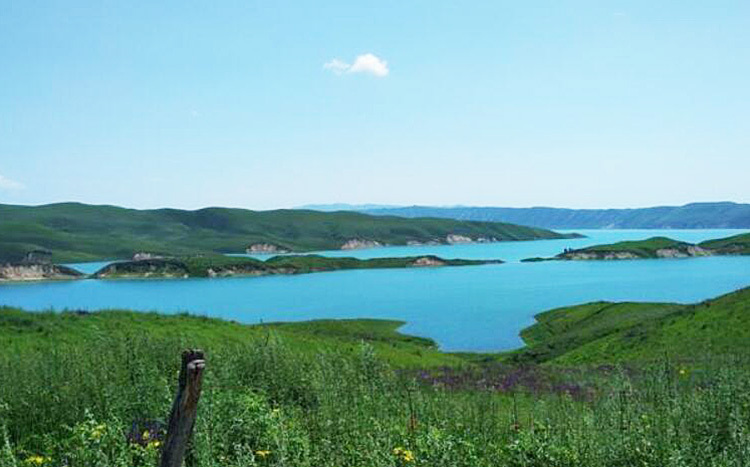 Xinjiang is a province with lot of terrain, desert, red cliff, pasture, lakes, etc. and although the hotel and accommodation is much poorer, we will have some special experiences like living in the Mongolia yurt, etc. Also I think the culture and food there are interesting too as it is province once very important on the silk road of China. Duration: 6 days cycling and 3day attraction visit. You will need to fly from your country to China (Beijing, Shanghai, etc.) and then book own flights to Urumqi. 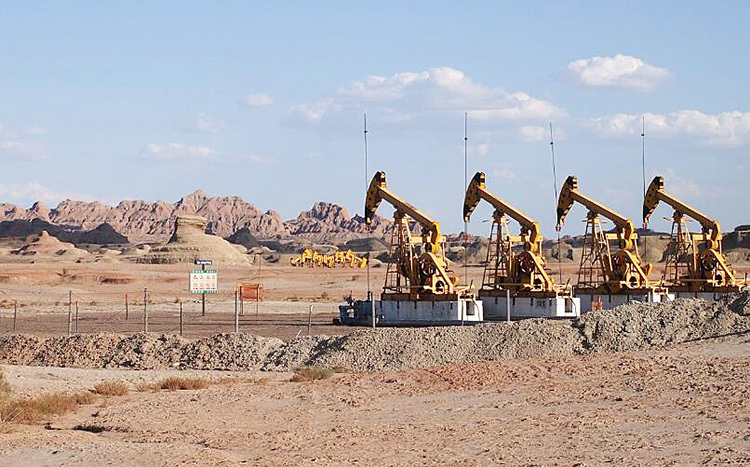 This tour starts from your own flight and arrivals on the capital city of Xinjiang province, Urumqi (URC). The flight ticket is available from lot of major cities like Shanghai, Beijing, Guangzhou, etc. It is a very long distance flight that takes us to the far west of China. Train from Beijing to Urumqi is also available but lasts over 36 hours, please get ready for it if you want to save money by taking the train. Our guide will pick you up at the train station or airport and wish you a nice rest before the adventures in mysterious Xinjiang province. 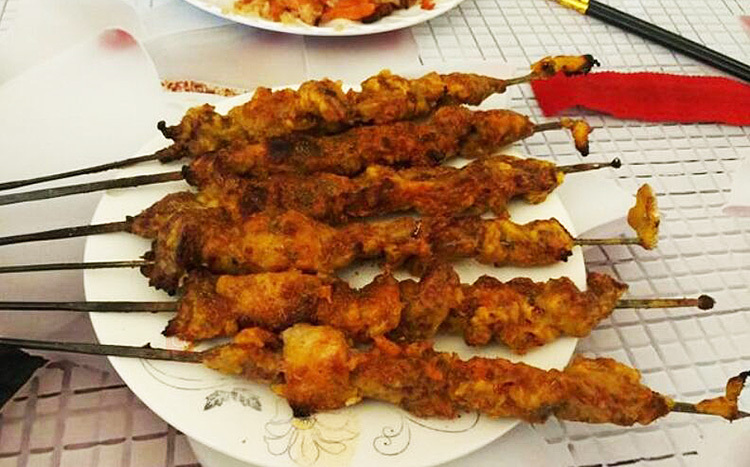 Accommodation: 3-4 star hotel of Urumqi city. 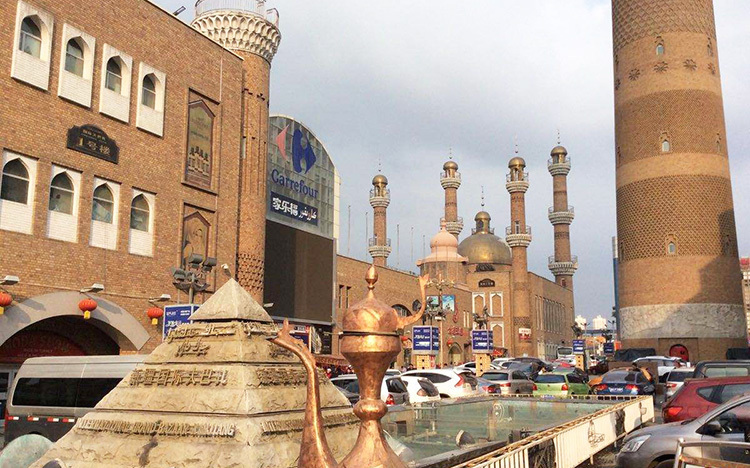 The meseum and markets in Urumqi are very interesting so if you want to visit it, please stay there earlier than today or do it after the whole trip. Non-cycle normal car visit to the museum of Urumqi, getting to know some basic culture and minority people, and then a leisure walking at the Grand Baza (the big local market and shopping center of the city), back to hotel for rest. Xinjiang is a huge province and very hard to ride and experience more highlights just by bike, In order to run the itinerary more smoothly, we jump our tour with a flight to Gulja the closest city to the Sayram Lake areas, after the simple rest after the flight, we will be transferred to the lake areas and meeting our supporting van and finally we have our bikes. Cycling around the whole lake as our warming up ride day for the trip before heading to mountain areas, enjoy the scenery and peaceful lake views. Our supporting van will help us to skip some inevitable highway only allowing bikes if needed today. 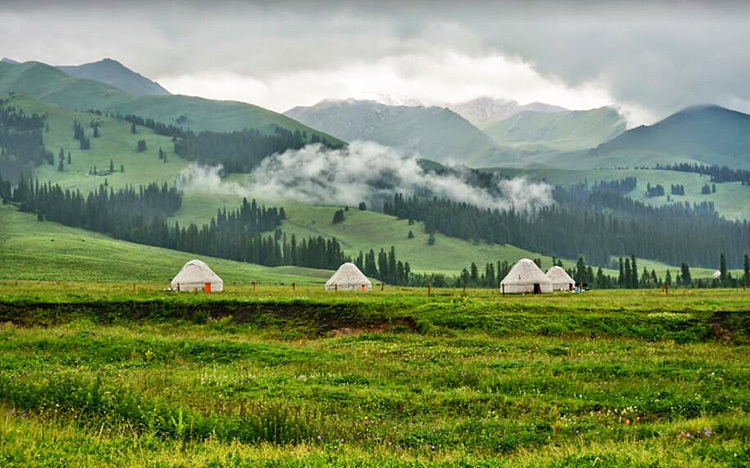 Accommodation: Mongolian yurt or small guesthouse. Using the car back to Gulja again and more deep to the south is what we have to do in order to skip those highways, big mountains where daily elevation changes over 2500M which are not possible to be finished in limited period. 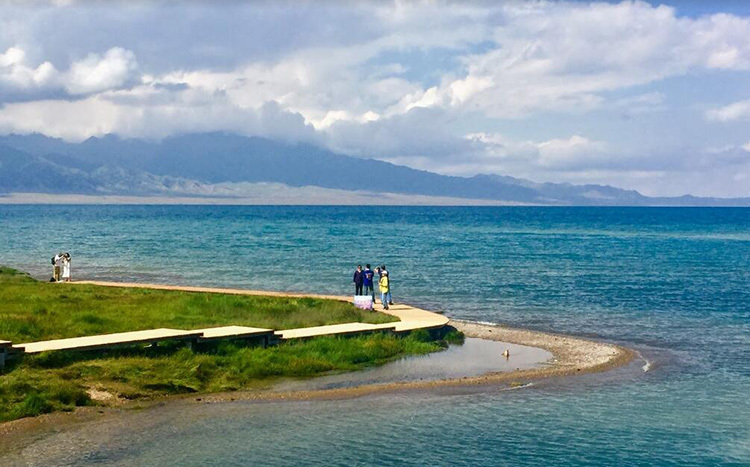 After saying goodbye to the holy lake Sayram, our van drives us back to Guija for lunch and another 150KM on car in the afternoon jumps us to the Chinese Eight-Diagram city – Tekes. A world suddenly changed from a natural spot into a city full of history and ancient believes. Accommodation: Hotel at Tekes city. 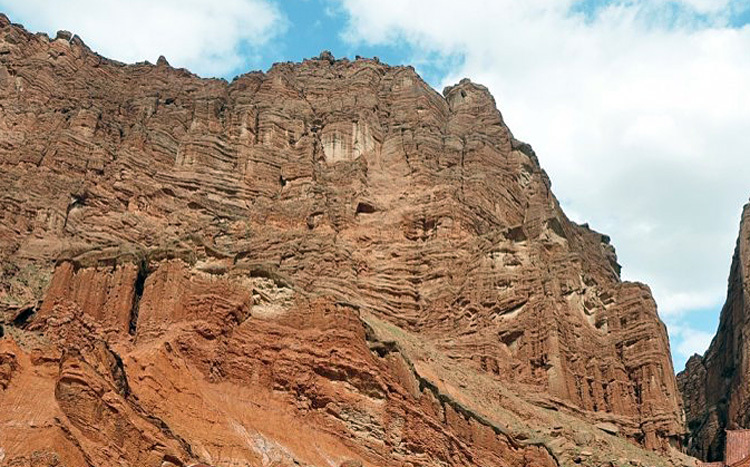 Like the god protecting its sons, the rivers in Xinjiang breeds the local people for thousands of years. Today our riding will be an adventure along the Tekes River while passing by houses of the local people. In the afternoon, after few short hills, nothing stops us and a down for a long distance finishes our cycling at Tokkuztara. Based on the distance between city/towns where hotel opened to westerners, we have to drive again today for the first 3 hours and arrive at Nilekezhen for an early lunch before challenge another 65KM uphill and downhill big undulating to the Ba’ergaiti Hot Spring areas. Today’s itinerary contains a lot uncertain things, as so far nobody here knows if we can find place to stay at the hot spring areas or not, prepare for living in the yurt / camping / being transferred for another 2-3 hours to find a place in the nearby town. Getting up early for today is needed. Today’s itinerary is also an uncertain thing because the first 120KM from the hot spring area to Qiao’er ma is all uphill and also someone said the road is ruff with construction – P.S Qiao’er ma is a very tiny town with basic rooms available for Chinese, not sure if they accept foreigners or not yet, no one here knows any contact of the small guesthouse there so far). So we have to drive and see if there is any part interesting and ok for riders before arriving Qiao’er ma and then if we cannot find place to overnight, we have to move forward to the next day’s itinerary.Maybe skipping some big climb is a better idea for today’s itinerary. But please don’t worry, finally we will rest anywhere for sure today hahaha….. If we start from Wulan Sadeke today, the ride starts with a downhill and connects with a long climb and another downhill to Kuitun. If we stayed at Qiao’erma last night, we have to jump our itinerary with the van and skip the first big mountain for sure. Accommodation: Hotel at Karamay (the city of oil), prepare for the smells. After a good rest and short drive to a smaller town near the famous World’s Ghost Town (natural relics), we start our ride today enjoy pictures and the ride there. The World’s Ghost Town was one of the places where lots of well-known Chinese movie was shot (including the Crouching Tiger and Hidden Dragon). Bikes are not allowed to enter the scenic spot, so we will do some cycling around it first and then enter it and visit it with the small trains for another 3-4 hours. After the tour today, we will have the farewell dinner with our supporting van driver as he will drive the bike back to Urumqi again and deliver them back. 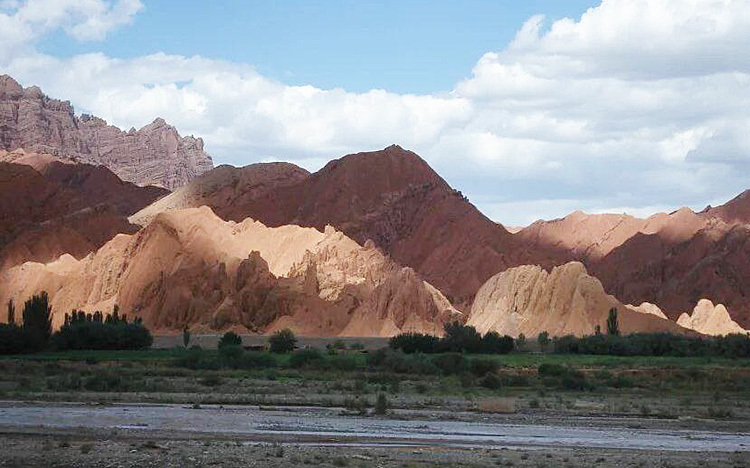 We are going to run another 3 days non-cycle tour to the south part of Xinjiang. (We are terribly sorry that we cannot arrange more cycling itinerary there because of two reasons, foreigners is not allowed to ride on lot roads there as the province uses those road as military backup, and the cost is too much and time is not enough for our driver to drive the bikes more deep into the southern part of the province just for 2 days ride) --- I hope you enjoy the non-cycle itinerary there as it is also interesting. 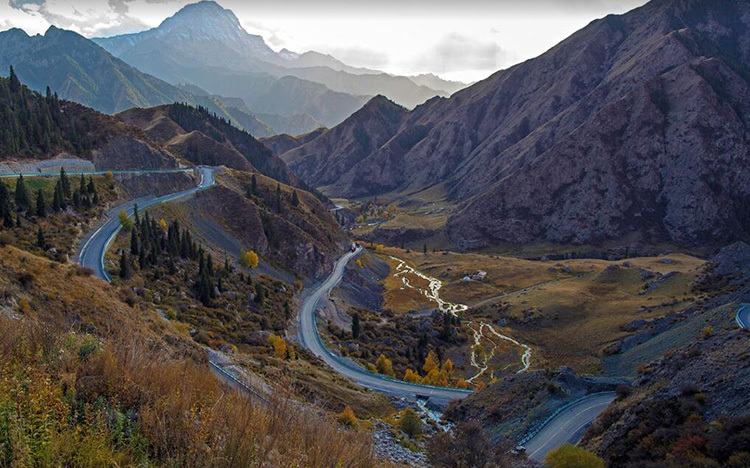 The transfers today is not easy, it is quite possible that we will take a flight directly back to Urumqi first and then continue with a day train to Kuche, which is the most convenient way and also allowing us to enjoy the landscape of the eastern part of Xinjiang province that we didn’t cycle. We will have simple lunch and dinner on the train today. Two hours driving with car takes us to the well-know Thousand Buddha Cave near Kuche areas; it is one of the most famous Buddha caves in China, enjoy the visit and lunch there, watch the relic of smoke towers from Han dynasty in the afternoon, then we will drive back to the city areas and visit the Subhashi Ruins, a relic with over 1700 years history, the sunset there. 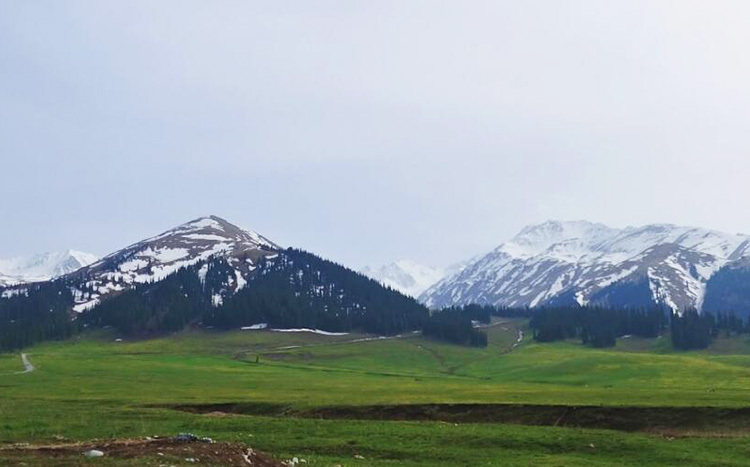 The China tour to Xinjiang ends today, we will not arrange suggested itinerary for today, but the guide of this tour is happy to discover the city of Kuche together with you and share the costs with all the clients. You are also ok to stay at hotel to deal with the pictures you have taken for this trip and have more rest before the long flights back home. 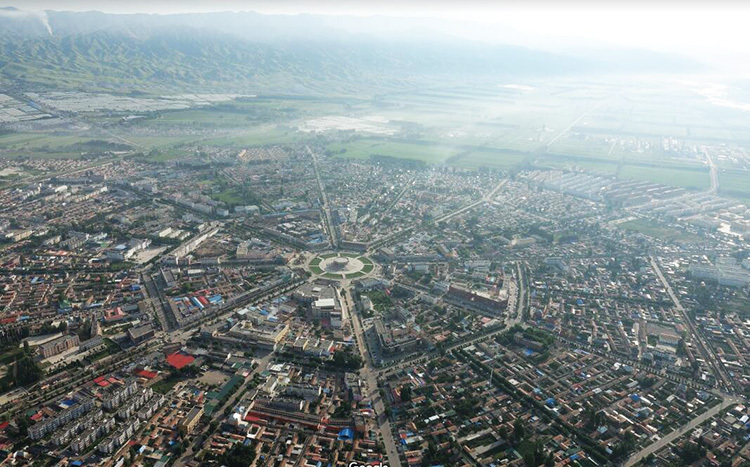 Accommodation: Hotel near airport of Urumqi. 1 of the drivers is also an English speaking guide if necessary. 2. All transport from the start point to the finish point; Flight and train tickets (based on the itinerary): Urumqi to Gulja (Day3) – flight, Karamay to Urumqi(Day11) – flight, Kuitun to Karamay (Day9) – train, Urumqi to Kuche – train, Kuche to Urumqi (Day13)– flight. 4. Supplies of mineral water, simple fruit, instant coffee and snacks during cycling day. 5. Entrance tickets based on the itinerary. 6. English bike leader (and local guide for non-cycle visit on Day12). 7. Supporting vans as mentioned. 9. 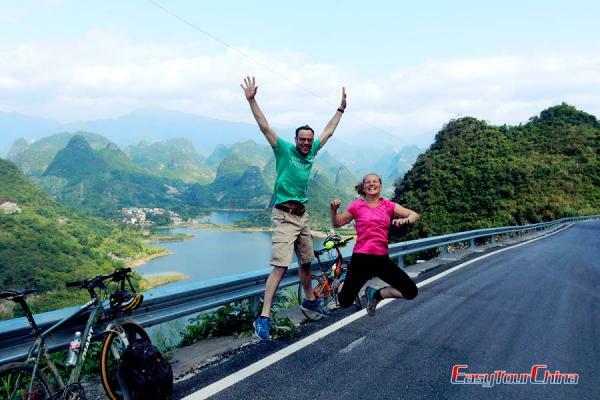 Bike rental fee and bike delivery fee to/back Guilin (our base is in Guilin). 1. 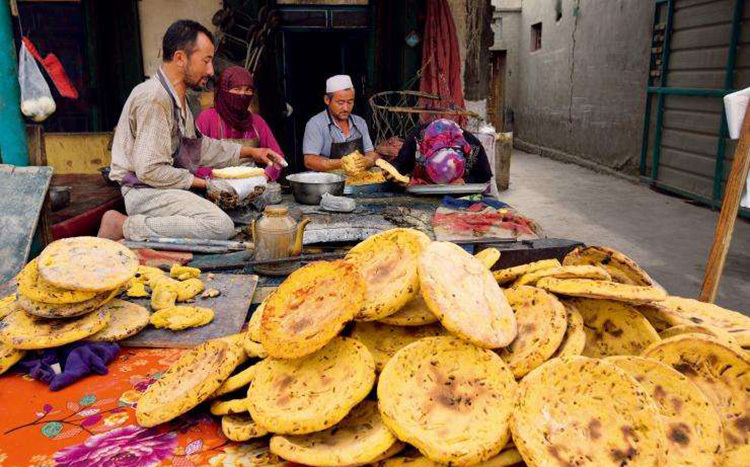 Xinjiang is a very sensitive area in China and the salary there is very high (because our government wants to keep the stable country and never mind sacrificing a lot of things, including money), it is not a joke to cycle / travel there, please respect the local police, decision and local culture even when it effects our itinerary. 2. 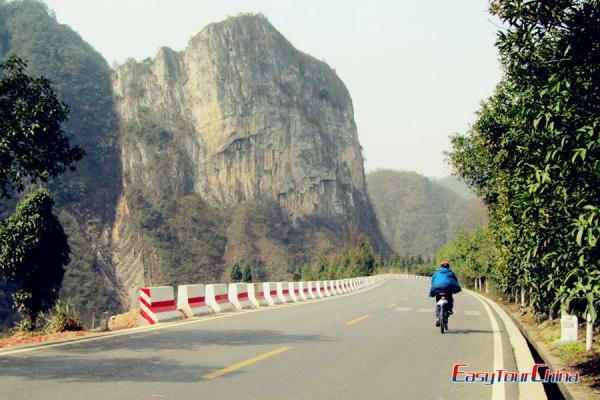 This is also our company’s first time cycling there, so everything is also new to us, there are around 20% uncertain things inside the itinerary, and even those well-planned parts can be affected if the local army, police, or local people says no. Our team is professional and will try best to make the tour perfect as much as we can, please understand the possible difficulty or unhappy part in such a special province. 3. Lost the way / have some unexpected block/jam during our cycling is possible to happened, our guide and driver will have to deal with the it based on the real situation. 4. You (or your friends) need to final confirm joining this tour and pay the tour deposit at least before Feb. of 2019, because our local partner will need very detailed final guests list and itinerary to apply for the special permit for this cycling group around half years ahead of the tour starting date. 5. Please note that obtaining your own travel insurance is required in order to participate on this biking tour. It will need to include a minimum coverage of medical expenses with emergency evacuation, personal liability and accident insurance. Our biking leader will need to see a copy of your insurance at the group meeting on the first day. We reserve the right to refuse you if you do not carry such an insurance policy.